1. What inspired you to become a film maker? It started almost by chance, but since I was a little kid I loved to invent stories, create new worlds, use the imagination a LOT! And of course I’ve always watched tons of movies that one day I said to myself: “Well, it’s time to make your own ones”. 2. Why don’t you tell us a bit about “Attack of the Cyber Octopuses”? What’s the general plot and idea behind the film? “Attack of the Cyber Octopuses” is a retro-futuristic cyberpunk film, made as in the 80s (aesthetically and technically: no CGI is used, lot of practical effects). The plot is a metaphor of our society and how addicted we are to the internet. It takes place in Neo-Berlin, 2079 A.D. A dark and rain-soaked city held by mega corporations where the only way for people to enjoy life is by connecting into cyberspace and taking the “binary trip”, a cyberdrug that fries your neurons but promises a feeling better than a hundred orgasms at once. In this setting a team of detectives is investigating a new menace: an army of cyber octopuses that are killing member of the parliament and CEOs of corporations. 3. What inspired the idea for this “Attack of the Cyber Octopuses”? I wanted to make a tribute to the science fiction movies of the 80s: Blade Runner, Escape from New York, Terminator, Aliens, etc. I really love those films! Especially living now in an era where lot of movies relies on massive CGI… Somehow cinema lost its magic: watching all those behind the scenes with the actors walking on a green or blue screen is very sad. 4. What do you think is the most unique aspect of your film? Compared with other 80s tributes (like Kung Fury, Megaborg or Turbo Killer -which I love, don’t get me wrong-) what sets “Attack of the Cyber Octopuses” apart is the lack of massive reliance on CGI, in this film everything will be hand crafted and shot on real locations, using a computer only for the final compositing or to recreate some vintage graphics. Also, despite the title, this film is not gonna be a cheesy tribute to the 80s, but it’ll be made very seriously. Something like Blade Runner with a touch of irony. 5. What qualities do you think make a great film, and could you give us a few examples of films that you would consider great? There are too many factors that can make a film great. It’s a very hard question… Personally, I love a good script when it’s combined with great cinematography and some original way of making it. Something that while I watch it I say “WOW!”. A film is made of so many elements that it works when all of them are good and combined in a good way! (music, acting, cinematography, script, etc). About my favourite movies, well, I like a lot of things, very different each other: from Blade Runner to Pulp Fiction, from Werner Herzog to David Lynch, from Sergio Leone to Billy Wilder. 6. What advice would you give to someone what wants to create an independent film of their own? The most important thing for an indie filmmaker is “never give up” and try to be creative. The lack of resources can push forward the creativity and it’s possible to create amazing things with very very low budget. 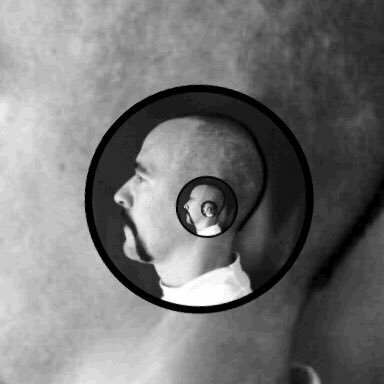 One of my most successful short films, called THE BEARDLESS GARIBALDI, costed only $500 and it has been screened in more than 60 festival worldwide, winning about 25 awards! 7. Where can we follow you to learn about “Attack of the Cyber Octopuses” and any future projects that you may be working on? It’s very important for this project to reach the Kickstarter goal. We are half way the campaign, but the goal is still far away. We need support for each passionate out there! The rewards are great and beside the more common Blu-Ray, TShirt, Poster, etc. we are also giving away the props and models! Generous backers might have the weapons, vehicles, part of the city miniature and even the cyber octopuses! Check out the kickstarter page for more details about the perks. You can follow the project on kickstarter: https://www. kickstarter.com/projects/ piovesan/attack-of-the-cyber- octopuses , facebook: https://www. facebook.com/cyberoctopuses/ and all around the social media. At the moment I’m very focused and putting lot of efforts on reaching the campaign and make an amazing movie. Other future projects can wait for now! How long have you been working as a filmmaker? I think that I have been subconsciously a filmmaker for a few decades but I didn’t do anything about it. That is until about three years ago, I was the guy that wouldn’t take the plunge. Then, I committed myself to learning about scriptwriting and I never looked back. For a few years now, I have been teaching myself, with the help of the internet and how-to-videos, the art of filmmaking. I am a self-taught filmmaker and I have some acting and theatre training from back in the day, but other than that there has been a lot of sweat and blood put into scouring the internet for tips, tricks, and sound advice about filmmaking. All of this has led me to make my first short THE WINEMAKER, which is Phase One of three that culminates in a feature film. 2. What inspired you to become a filmmaker? One day, I just realized that I wanted to express myself creatively as ideas and thoughts kept coming to me repeatedly. I would later figure out that those ideas were visual images, scenes, and dialogue for a film script. From all the movies that I have watched in my life (and that’s a big number), it was clear that I was creating movies with my imagination. So I ended up putting quite a bit of energy (before and after my day job) into studying screenwriting and filmmaking. Then, after a year of writing, I wrote my first screenplay, but I realized that what I wrote was either a $150 million dollar live action film (like The Lord of the Rings) or a $30 million animation (like Spirited Away). I want to direct my own projects, so I put my first screenplay on the shelf and learned how to make low budget Indie films and I came up with THE WINEMAKER film series that starts with a short that leads to a web series and culminates with a feature film. way it did. There is a running joke in my house about a viddie that I made two years ago, where I said I would be done in six months; my children walk around our house and act like me and say I will get my six month film done in two years. They are quite good at imitating me. They are hilarious and we can laugh openly about it. It has been a good life lesson for all of us. 3. Why don’t you tell us a bit about this project? What’s the general plot of THE WINEMAKER? Vic leaves his marital problems behind and goes on a winery tour. Along the way, he repeatedly sees two children or does he? At the vineyard, Vic meets THE WINEMAKER, who plays a deadly game of cat and mouse. At the climax, THE WINEMAKER forces Vic to decide to save himself or the souls of the two children. One of the taglines for the film series is #theWinemakerknows and you have to watch the whole film series to find out what the Winemaker knows. In a nutshell, THE WINEMAKER film series is a psycho-thriller, with some classic horror motifs added in for good measure. 4. What inspired the idea for the movie? Like I hinted at before, I had limited money and resources to make a film. When I wrote my first script, I wrote what I was passionate about at that time but without the awareness that I wouldn’t be able to film it. So after that I learned to work within my means and while I was researching about how to make an Indie movie, I often read the same thing: use what you have around you and write what you know. Then I spent quite a bit of time figuring out what was around me and how I could incorporate all these things into a movie. Simple things, like my house, my vehicles, a tree in my backyard, my family, etc. You would be surprised at what you have available to you, if you really start to notice. This way of limitation opened up my mind to some interesting plotlines, images, and prop ideas, which started jumping out at me. I ran with them and would write dialogue, plotlines, and images down that came to me from the muse. This went on for over a year, along with studying all aspects of filmmaking and then I would have to take a break and work to make an income and then get back to THE WINEMAKER film series. One quick side note is to also look at all the available resources at your local library, which for me was amazing. I used a 3-D printer to make some props for THE WINEMAKER. After a while, I realized that I had a lot of things to work with within my world (my house, backyard, and neighbourhood, etc…) without having to bring in expensive special effects and plots and storylines that I wouldn’t be able to film when I was finished writing my script. The long and short of it is that for me having limitations worked wonders and it challenged me to think ‘inside the box’ not ‘outside of the box’ and the end result is going to be THE WINEMAKER film series. Here it is important to bring up the point of embracing what makes you unique, to find your voice, for me THE WINEMAKER is my voice. Give some weight to what makes you who you are and create from that place. 5. What has been the most challenging part of creating THE WINEMAKER? Getting my mind around how all these characters are interconnected and then being OK with new ideas that flesh them out more, because at the start I was afraid that I was losing a character, when in fact the characters were becoming richer, but I was just too inexperienced to realise this. Being patient about the creative process and respect the muse, as she only whispers her ideas to you. You have to learn to recognize when you are actually getting a new idea and then writing it down and going from there, wherever it leads you. Be comfortable with the unknown and walking down that path. A lot. Whatever makes you uncomfortable, go there in your writing and see what happens and then be open to simple moments that tie together two characters or two scenes. Creativity is not a loud process when it happens; it is quite the opposite and when nothing is happening creatively: do not be hard on yourself. Relax and move on to something else and you will be rewarded when you least expect it. Don’t have certain expectations about how something is meant to be, because this just closes the doors of creativity. 7. What qualities do you think make a great film, and could you give us a few example of films that you would consider great? That all depends on the film really, because think of how many great classic films there are; they are all different but still legendary. Think of what David Lean, John Ford, Stanley Kubrick, and Akira Kurosawa have produced in their careers. All have a repertoire of great films under their belts. What makes a film great is that it has the signature style of the director, when you see a film you say, oh yeah, that is a Kubrick film or that is without a doubt a film by Kurosawa. This means that they made it their own with their own voice and they had a specific vision for each film that they created. They all had an eye for detail and sometimes took a genre in the opposite direction, like Kubrick, who turned a war movie into an absurd comedy. So go down the list of films that these folks made: Lawrence of Arabia, The Searchers, A Clockwork Orange, Rashomon, you could spend days talking and analyzing any one of these movies and still not reach the bottom of the well. I could watch any of the films from the above directors over and over and still see and learn something new. 8. What philosophies or beliefs, if any, do you follow when creating a film that you believe are integral to making the film great? One important thing for Indie filmmakers is to stop racing to the bottom to say that they made the cheapest film that they could, because in most cases it will look just that: cheap. There is a weird pride in doing a film for no money that must stop. I also think that however long it takes to make a film is how long it takes, but don’t abuse this remark. Because if you are not actually working towards your end result and the film takes years, then this isn’t the same as struggle with plot points or location or actors or weather or etc…be honest with yourself and be the filmmaker that makes his movie; not the filmmaker that just says they will make a movie. Always be open to ideas and don’t say no to an idea that comes to you because you never know where it may lead. One way to see this is to think of a game of chess, you may have to look ahead five, ten, fifteen, or twenty moves down the line to see if one move is good or not. This concept I learned from Kubrick (who was a great chess player by the way) and he would be open to new ideas and look at what he produced with that mentality. I am in good company and let’s leave it at that. 9. What advice would you give to someone that wants to create an Indie film of their own? struggles that you are having right now. You have to pay the price of admission, because all those overnight success stories you hear about were ten years in the making. You can also figure out some way to cross promote your film with other Artist like I am doing right now as we speak, try to find a fresh way to get your film out there to as many people as possible. Too often filmmakers are so worried about their own projects that they limit their effective audience, when they could increase it. 10. Where can we follow you to learn more about your film and any other projects that you may be working on in the future? I also have another handle @ArtIntoFilm with the hashtag that I created #artinfluencesfilm, which has great international interaction and input. As of now you find over 700 examples of where Art has inspired cinematic moments throughout the history of film. 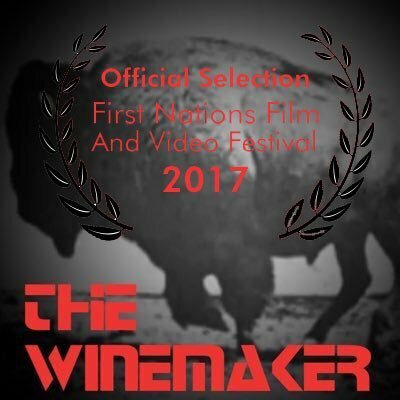 I do have website http://www.TheWinemakerfilm.ca coming out soon and I will have one more interesting way to connect with all my projects to the masses. I am proud of the cross promotion idea that I am running along with my film series, because I get to showcase some great talent that is a part of my twitter community. The four part mini web series will be a combination of both but leaning more towards the continuation of the overall plot ideas, themes, and characters. The web series will develop the players a little more but still keep the air of mystery around the whole project. That’s about as far as I want to go with that. powerful impact on our psyche and the great directors have drawn on Art to inspire their work for a long, long time and I want to be a part of that tradition. This entry was posted in Written Interviews and tagged Written Interviews.